SSH stands for "Secure Shell" and is the standard means of managing a Linux-based computer that is not your host computer. Typically this means a remote computer, but as WPLib Box runs inside of your host computer then calling it a "remote" computer would be a misnomer, but the principle is the same. Secure Shell is all the rage for hacker movies and TV shows like Mr. Robot. 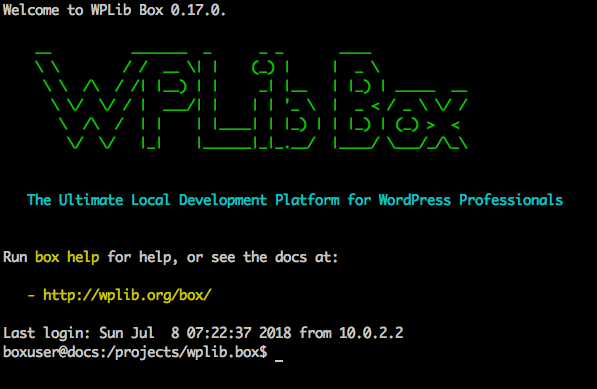 The vagrant ssh command requests to enter your project's WPLib Box with a command prompt available.